Prime Minister al-Miliki now concentrates on protecting Baghdad with the military's best-equipped troops. Prime Minister Nouri al-Maliki is ready to concede, at least temporarily, the loss of much of Iraq to Sunni insurgents and is instead deploying the military’s best-trained and equipped troops to defend Baghdad, Iraqi officials told The Associated Press Tuesday. Shiite militias responding to a call to arms by Iraq’s top cleric are also focused on protecting the capital and Shiite shrines, while Kurdish fighters have grabbed a long-coveted oil-rich city outside their self-ruled territory, ostensibly to defend it from the al-Qaida breakaway group. 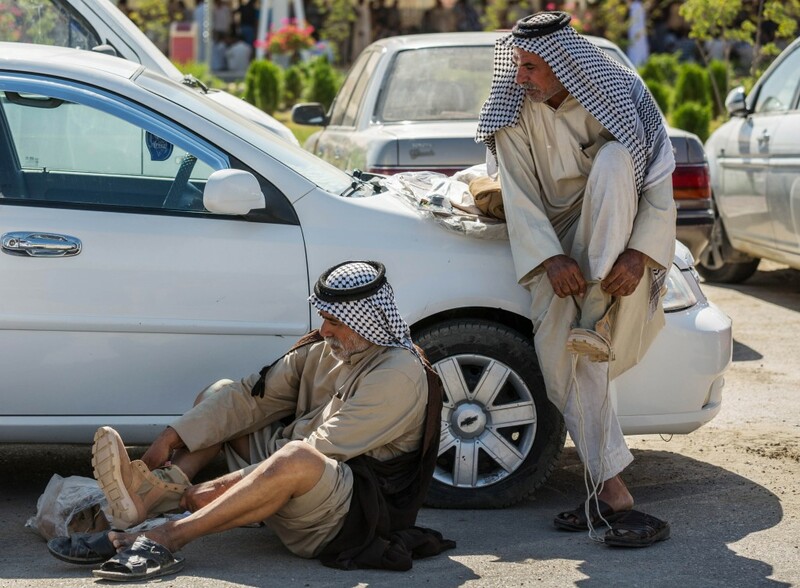 Members of an Iraqi volunteer force put on their newly issued boots in the Shiite holy city of Karbala, 50 miles (80 kilometers) south of Baghdad, Iraq, Tuesday, June 24, 2014. 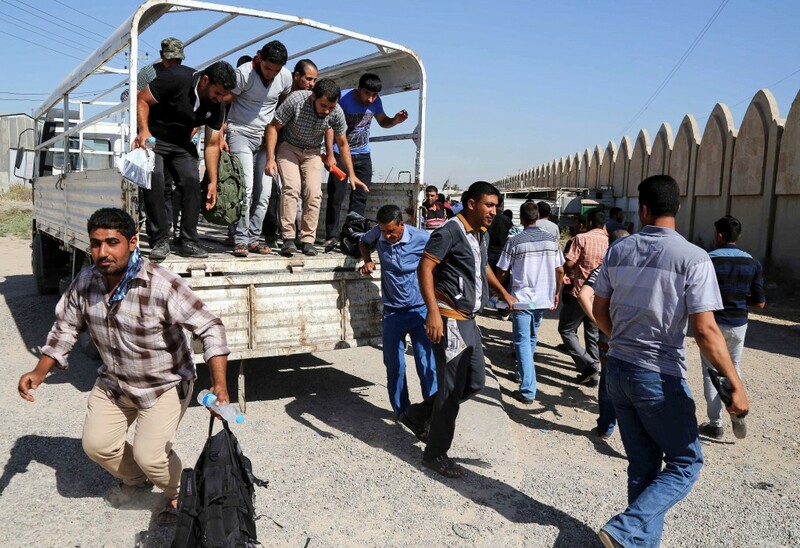 Iraqi men jump out of a truck at the main recruiting center as they volunteer for military service in Baghdad, Iraq, Tuesday, June 24, 2014, after authorities urged Iraqis to help battle insurgents. With Iraq’s bitterly divided sects focused on self-interests, the situation on the ground is increasingly looking like the fractured state the Americans have hoped to avoid. “We are facing a new reality and a new Iraq,” the top Kurdish leader, Massoud Barzani, told U.S. Secretary of State John Kerry on Tuesday in Irbil, capital of the self-ruled Kurdish region in northern Iraq. Two weeks after a series of disastrous battlefield setbacks in the north and west, al-Maliki is struggling to devise an effective strategy to repel the relentless advances by militants of the Islamic State of Iraq and the Levant, a well-trained and mobile force thought to have some 10,000 fighters inside Iraq. The response by government forces has so far been far short of a counteroffensive, restricted mostly to areas where Shiites are in danger of falling prey to the Sunni extremists or around a major Shiite shrine north of Baghdad. These weaknesses were highlighted when the government tried but failed to retake Tal Afar, a mixed Shiite-Sunni city of some 200,000 that sits strategically near the Syrian border. The government claimed it had retaken parts of the city but the area remains under the control of the militants after a battle in which some 30 volunteers and troops were killed. Government forces backed by helicopter gunships have also fought for a week to defend Iraq’s largest oil refinery in Beiji, north of Baghdad, where a top military official said Tuesday that Sunni militants were regrouping for another push to capture the sprawling facility. In the face of militant advances that have virtually erased Iraq’s western border with Syria and captured territory on the frontier with Jordan, al-Maliki’s focus has been the defense of Baghdad, a majority Shiite city of 7 million fraught with growing tension. The city’s Shiites fear they could be massacred and the revered al-Kazimiyah shrine destroyed if Islamic State fighters capture Baghdad. Sunni residents also fear the extremists, as well as Shiite militiamen in the city, who they worry could turn against them. The militants have vowed to march to Baghdad and the holy Shiite cities of Najaf and Karbala, a threat that prompted the nation’s top Shiite cleric, Grand Ayatollah Ali al-Sistani, to issue an urgent call to arms that has resonated with young Shiite men. The military’s best-trained and equipped forces have been deployed to bolster Baghdad’s defenses, aided by U.S. intelligence on the militants’ movements, according to the Iraqi officials, who are close to al-Maliki’s inner circle and spoke on condition of anonymity to discuss such sensitive issues. The number of troops normally deployed in Baghdad has doubled, they said, but declined to give a figure. Significant numbers are defending the Green Zone, the sprawling area on the west bank of the Tigris River that is home to al-Maliki’s office, as well as the U.S. Embassy. “Al-Maliki is tense. He is up working until 4 a.m. every day. He angrily ordered staff at his office to stop watching TV news channels hostile to his government,” one of the officials said. The struggle has prompted the Obama administration to send hundreds of troops back into Iraq, nearly three years after the American military withdrew. The Pentagon said Tuesday that nearly half of the roughly 300 U.S. advisers and special operations forces are now on the ground in Baghdad, where they have begun to assess the Iraqi forces and the fight against Sunni militants. Another four teams of special forces will arrive in days, bringing the total to nearly 200. Rear Adm. John Kirby, the Pentagon spokesman, also said the U.S. is conducting up to 35 surveillance missions daily over Iraq to provide intelligence as Iraqi troops battle the aggressive and fast-moving insurgency. About 90 of the U.S. troops are setting up a joint operations center in Baghdad. Iraqi officials said the U.S. advisers were expected to focus on the better units the Americans had closely worked with before pulling out. Iraq’s best-trained and equipped force is a 10,000-strong outfit once nicknamed the “dirty division” that fought alongside the Americans for years against Sunni extremists and Shiite militiamen. Now it is stretched thin, with many of its men deployed in Anbar province in a months-long standoff with Sunni militants who have since January controlled a city 30 miles (50 kilometers) west of Baghdad. The focus on Baghdad, rather than recapturing the vast Sunni areas to the west and north, has been subtly conveyed to the media in daily briefings by chief military spokesman Lt. Gen. Qassim al-Moussawi. He has in recent days shifted from boilerplate assurances that the military is on the offensive to something less confident. The Iraqi military, rife with corruption and torn by conflicting loyalties, lacks adequate air cover for its ground troops and armor, with the nation’s infant air force operating two Cessna aircraft capable of firing U.S.-made Hellfire missiles. That leaves the army air wing of helicopter gunships stretched and overworked. While Iraq’s security forces number a whopping 1.1 million, with 700,000 in the police and the rest in the army, corruption, desertion and sectarian divisions have been a major problem. With a monthly salary of $700 for newly enlisted men, the forces have attracted many young Iraqis who would otherwise be unemployed. Once in, some bribe commanders so they can stay home and take a second job, lamented the officials. Al-Maliki’s effort to bolster the defense of the capital coincides with Iraq’s worst crisis since the 2011 withdrawal of U.S. forces, with the nation facing a serious danger of splitting up into warring Sunni, Shiite and Kurdish enclaves. The declaration by Barzani, the Kurdish leader, of a “new Iraq,” was a thinly veiled reference to the newly won Kurdish control of the oil-rich city of Kirkuk, which the Kurds have long sought to incorporate into their self-rule region. Control of Kirkuk and Kurdish pockets in Diyala province and elsewhere have been at the heart of tension between the Kurdish region and the Baghdad government, and the Kurds are unlikely to want to give up that territory, regardless of the status of the fighting. Al-Maliki, who has no military background but gets the final say on major battlefield decisions, has looked to hundreds of thousands of Shiite volunteers who joined the security forces as the best hope to repel the Islamic State’s offensive. While giving the conflict a sectarian slant — the overwhelming majority are Shiites — the volunteers have also been a logistical headache as the army tries to clothe, feed and arm them. Furthermore, their inexperience means they will not be combat ready for weeks, even months. Still, some were sent straight to battle, with disastrous consequences. New details about the fight for Tal Afar — the first attempt to retake a major city from the insurgents — underscore the challenges facing the Iraqi security forces. Dozens of young volunteers disembarked last week at an airstrip near the isolated northern city and headed straight to battle, led by an army unit. 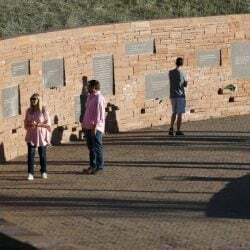 The volunteers and the accompanying troops initially staved off advances by the militants, but were soon beaten back, according to military officials. They took refuge in the airstrip, but the militants shelled the facility so heavily the army unit pulled out, leaving 150 panicking volunteers to fend for themselves, said the officials, who spoke on condition of anonymity because they were not authorized to speak to the media. The ill-fated expedition — at least 30 volunteers and troops were killed and the rest of the recruits remain stranded at the airstrip — does not bode well for al-Maliki’s declared plan to make them the backbone of Iraq’s future army.